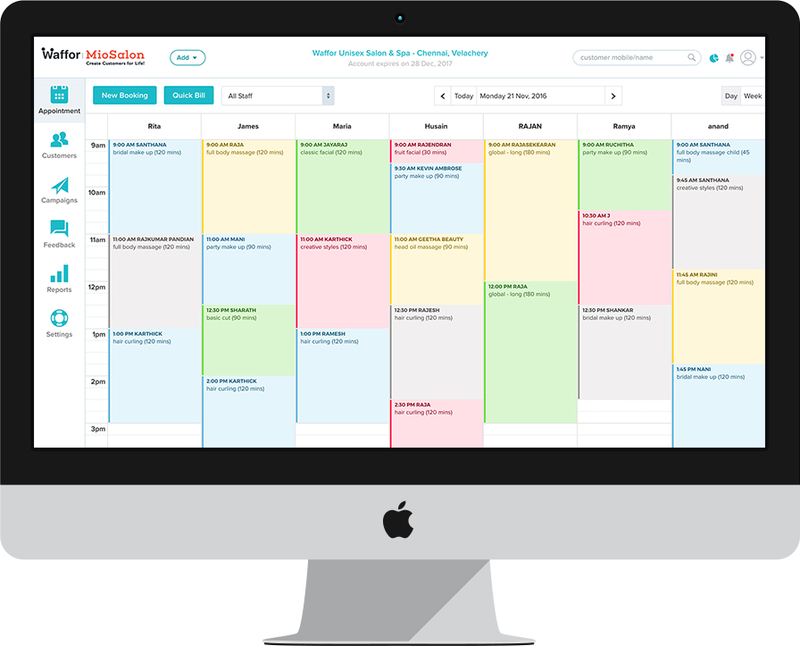 Appointment scheduling for patients is an essential part of your daily work whether you own a clinic or a hospital. As a medical practitioner your immense responsibility of curing your patients and earning their trust is what helps you sustain.Your front desk has a daunting task of handling a lot of patient scheduling for multiple aliments like dentist, surgeon, dermatologist, ophthalmologist or other general care appointments. At times it becomes complex without a proper clinic management software in place for clinics and hospitals that take up multiple appointments and functions across multiple time zones. Patients no shows can really affect your practice and make you lose tons of money. Studies have shown medical practitioners greatly suffer from missed appointments leading to a loss of a clinic’s total annual revenue. Clinic management software lets you efficiently take up patient appointments and remind them on upcoming appointments thus helping you not to lose money.